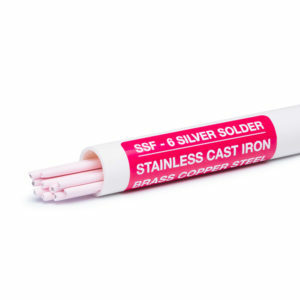 SSF-6 56% Silver Solder is used to join two pieces of stainless steel. SSF-6 flows at 1150 degrees, with a strength of 70,000 psi. It is a food grade, cadmium free rod–safe for both hospital and restaurant use.